Our bowyer Chris Unger has designed a handle which has a perfect grip. The pleasant combination of Bubinga / Bubinga brings the looks of this powerful recurve bow to perfection. The limbs made of bamboo guarantee its exceptional performance while making it soft to draw. The bow was pre-tested by professionals from the traditional bow scene worldwide and received with enthusiasm. 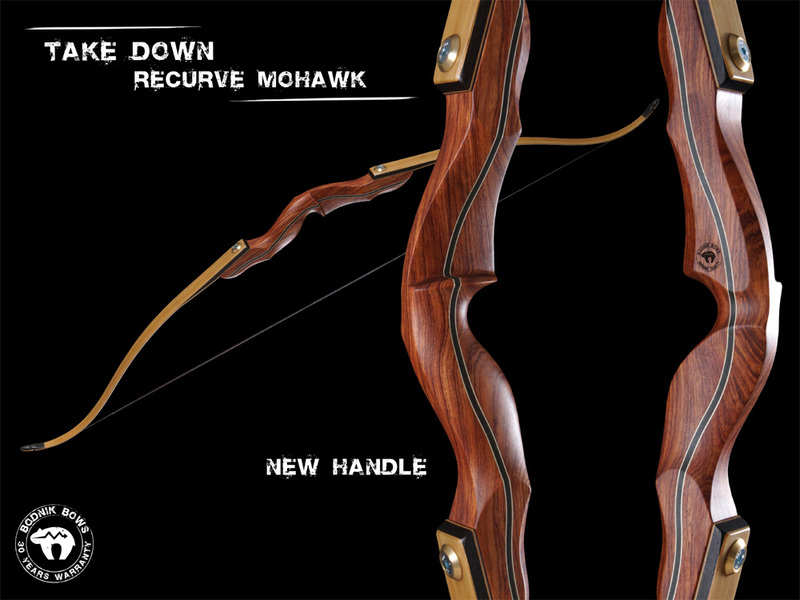 When selecting the short limbs Mohawk Recurve you will get a bow of 60 inches length. 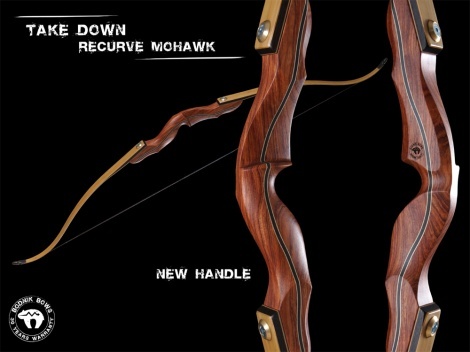 When selecting the long limbs Mohawk Recurve you will get a bow of 62 inches length. Every one of our Bodnik Bows are crafted by skilled bowyers in our own Bearpaw Products manufacturing facilities. Bodnik Bows is a valuable member of the Bearpaw Products Group!